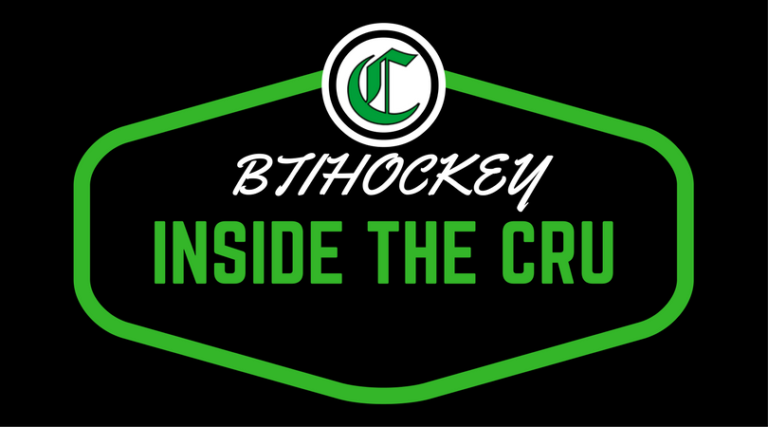 This week on #InsideTheCru Tyler Yaremchuk is joined by Crusaders GM Kyle Chase to talk about the teams season & their next round of recruits. 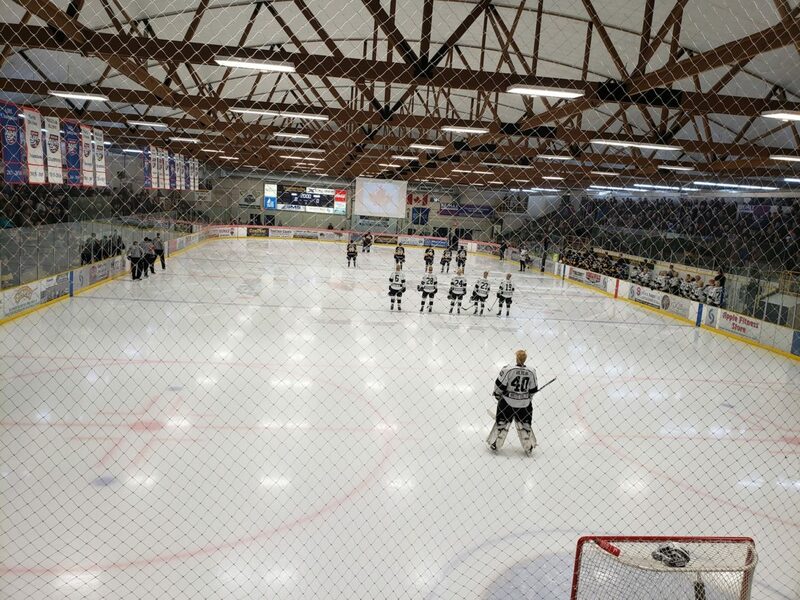 With the AJHL’s North Division final tied at two games apiece, the series shifted back to Sherwood Park for game five. To some extent, the Spruce Grove Saints had their backs against the wall in games three and four. If they would have lost one of those games, they would have been playing for their lives tonight. Instead, they have some wiggle room. For the Crusaders, they should have some desperation in their game. 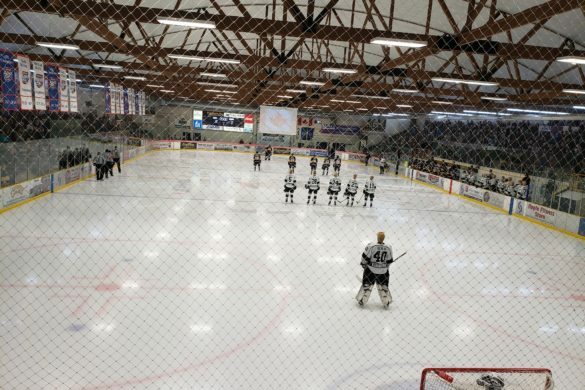 While a loss wouldn’t end their season, they will have to go into Grant Fuhr Arena on Sunday for a must-win game six. That’s far from ideal. The Crusaders came out flying in front of their home crowd and were no doubt the better team through the first nine minutes, holding a 5-1 advantage on the shot clock. Momentum changed when Arjun Atwal was called on a ticky-tack hooking infraction. That was especially frustrating for the home side considering the officials missed a too many men on the ice call on the Saints just minutes earlier. The Saints capitalized on the powerplay with Nick Leyer jamming a rebound just over the goal line. The Crusaders kept pushing, but that first goal also woke up the Saints a little. The two teams grinded out the rest of the first period without too many great chances. The Cru missed on a powerplay opportunity as well. The Saints held onto their 1-0 lead for the rest of the period, but things were pretty tight. The Crusaders generated ten shots on goal, as did the Saints, but Sherwood Park didn’t have too many looks that made me hold my breath. A solid first 20, but it was far from a perfect opening period for the Cru. The Saints came out and took over the game. They were pouring on chances early and managed to jump out to a 2-0 lead thanks to Cole Basnett. Up 2-0, the Saints registered eight of the period first nine shots on goal. The Crusaders started to turn things around when Carter Savoie was hauled down on a partial breakaway and got the Crusaders their first powerplay of the game. They actually started generating some dangerous looks but they were either blocked or stopped by Matt Davis, who looked busy but actually only had to stop six shots in the period. I mentioned this week on Inside The Cru that when things started going bad in games three and four, Sherwood Park never had anyone step up with a real momentum changing shift. Tonight, I thought Arjun Atwal did his absolute best to change his team’s fortunes. 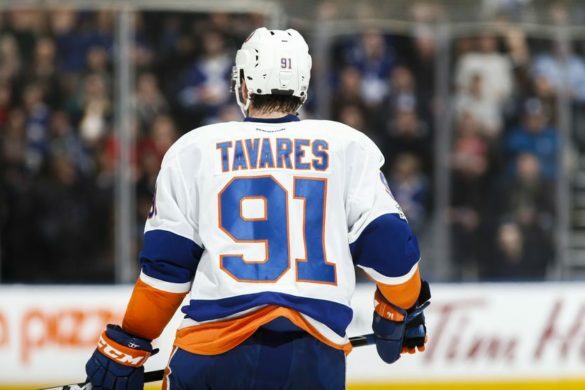 In the second period, he ripped down the wing, generated a scoring chance, and then immediately drew a penalty. It looked like that moment was going to change the game, but the Cru came up very flat on the powerplay. It was straight up unacceptable to bungle another great opportunity like that. The home side generated a few good looks late in the period but trailed 2-0 heading into the room. With a massive third period looming, the Saints come out and struck first with a powerplay goal just over three minutes into the period. All of the sudden things were looking very bleak for the Crusaders. 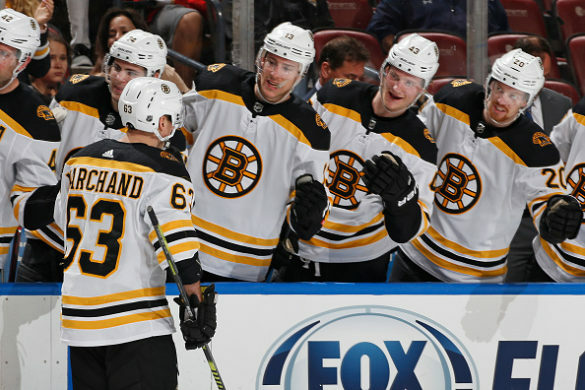 They got a chance on the powerplay with 12 minutes to go, but once again they were only able to generate one good look with the man advantage. That’s not good enough in a big playoff game. 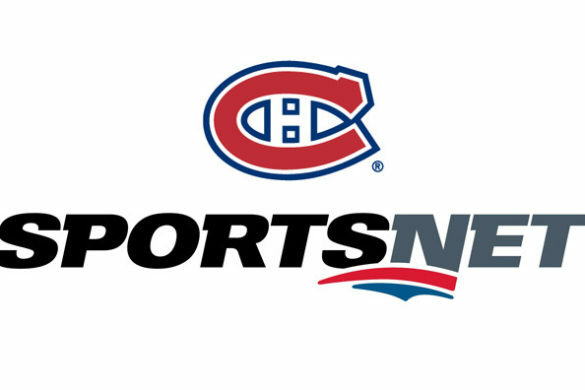 Their powerplay finished the game 0-for-4. They had a handful of chances to get back into this game and their powerplay let them down. Nick Leyer would bat another one home with nine minutes to go, making it 4-0 Saints. That was the final nail in the coffin. 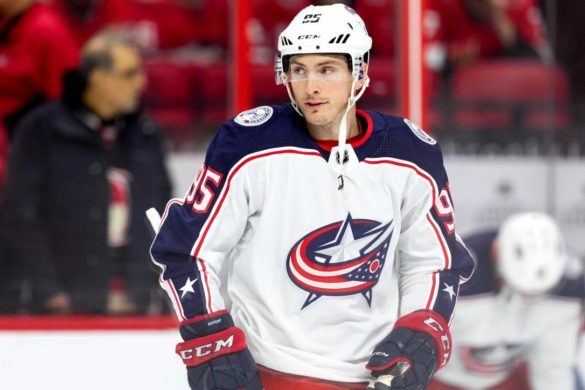 The teams would exchange goals late in the period, Brandon Wallis fired home a shorthanded goal with just seconds remaining in the game, and the horn would sound. 5-1 the final. These two teams played out the final few minutes and the game ended with the Saints holding onto their lead. They’ll have a chance to advance to yet another AJHL Final on Sunday when they host game six of this series. For the Cru, they need to find another gear. They look like the weaker team right now. It’s not over, and they need to recognize that. They have beaten the Saints a few times this year and twice in a row earlier in this series. They need to lean on that to give them the confidence to come from behind and take this series. Michael Benning has just been tremendous this series. I thought he was the best player in game three and tonight he was one of the most impactful players. He’s so patient in his own end and knows when to just get rid of the puck and when to hold onto it and jump into the rush. Rare qualities for a young defenseman. He had some rough moments, but I liked his game. Michael Bentz was solid as well. He was blocking shots and making smart pinches all night. A very good night from a player who the team needed to step up with the absence of Reid Irwin. Brennan McDonnell was very solid as well, I liked the way he played considering his elevated role. A big thumbs up to Robert Clark, the Oilers anthem singer, handling tonights “Oh Canada”. That really set the mood for a big playoff game. The crowd was great tonight, just a shame the Crusaders couldn’t give them more to cheer for. They needed to turn more of their shots into scoring chances if that makes any sense. 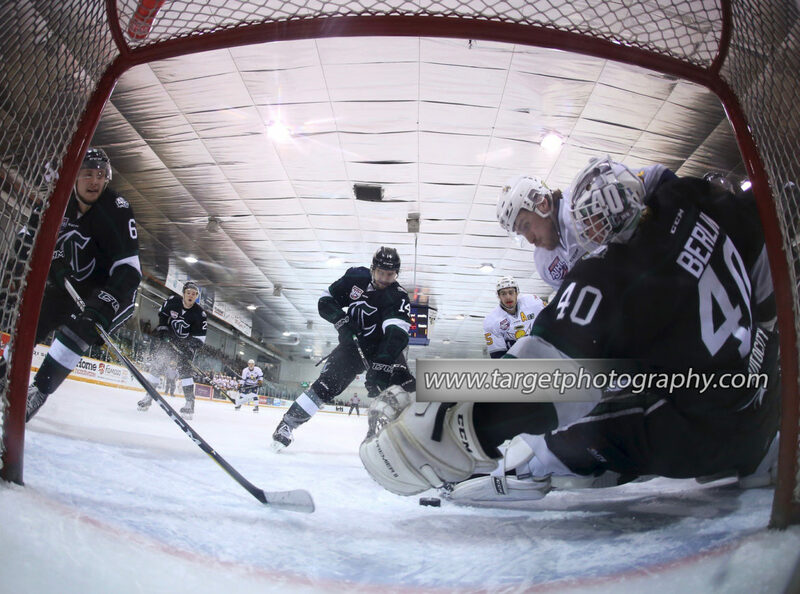 They put pucks on net, but Matt Davis doesn’t get beat by just good chances, you need true “Grade A” looks to beat the Saints goaltender and I thought the Crusaders didn’t get enough dangerous looks at him. Their powerplay got a few good looks, but it blew some great chances throughout the game. That could have cut their deficit to one and changed the entire game in the second period. Not scoring is one thing, but they rarely got any good looks. The Sherwood Park Crusaders will put their season on the line Sunday night in Spruce Grove. Puck drop goes just after 7 pm. They haven’t won in three games and given how strong the Saints look, they might need to play their best game of the season if they want to force a seventh game. 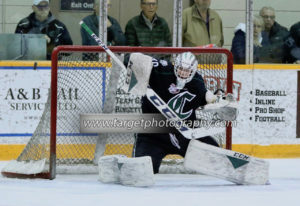 The Sherwood Park Crusaders made their way back to Spruce Grove after a disappointing performance in game three which saw them lose 5-3 against the Saints. Head Coach Adam Manah made plenty of changes to his lineup with Brennan McDonnell checking back in on the backend replacing rookie Kyle Fulton. Nick Bowman moved onto the first line replacing Will Zapernick who moved down to the third. Then finally, Brandon Wallis was slotted into the fourth line centreman position with Tanner Fincaryk moving to right wing on the third with Jack Hamly and Zapernick. The AJHL”s North Final shifted to Spruce Grove tonight with the Sherwood Park Crusaders up 2-0 on the Saints. While the Crusaders grabbed both of the first two games, they really just did what they had to do. As the division champions, they had home ice advantage this round and in my opinion, it’s imperative to hold home-ice advantage earlier in the series. To be blunt about it, the Crusaders simply took care of business early in this series and now the really tough part starts, finding a way to win on the road and come home with a chance to win the series. After a hard fought battle with the Fort McMurray Oil Barons that went six games the Cru have found themselves in the Divisional Round of the playoffs! Meeting them there are the Spruce Grove Saints for a heavyweight matchup between two of the top three teams in the league. Carter Savoie and Garrett Clegg found themselves in the top-three in scoring for the Cru through the post-season much they had all regular season. Both players were sure to be heavy contributors with just one round left between them and the Championship Round. Spruce Grove brought some fire power of its own with Logan Ganie and Parker Saretsky leading the team in playoff points with 10 and 9 respectively. This match-up will surely come down to goaltending with Matt Berlin and Matthew Davis both being strong back bones for their team’s success in the 2019 playoffs. 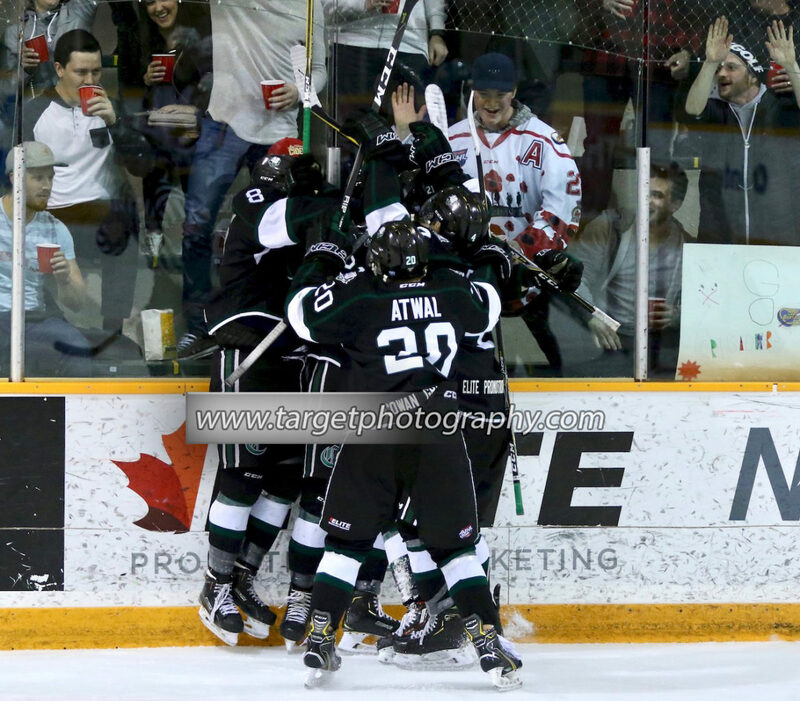 The regular season series belonged to the Crusader with them holding a 4-2 record in the six games. Garrett Clegg was the leading scorer in that series with eight points in six games. Friday night’s Game 1 was sure to showcase a tonne of fireworks and excitement as this rivalry came down with everything on the line! 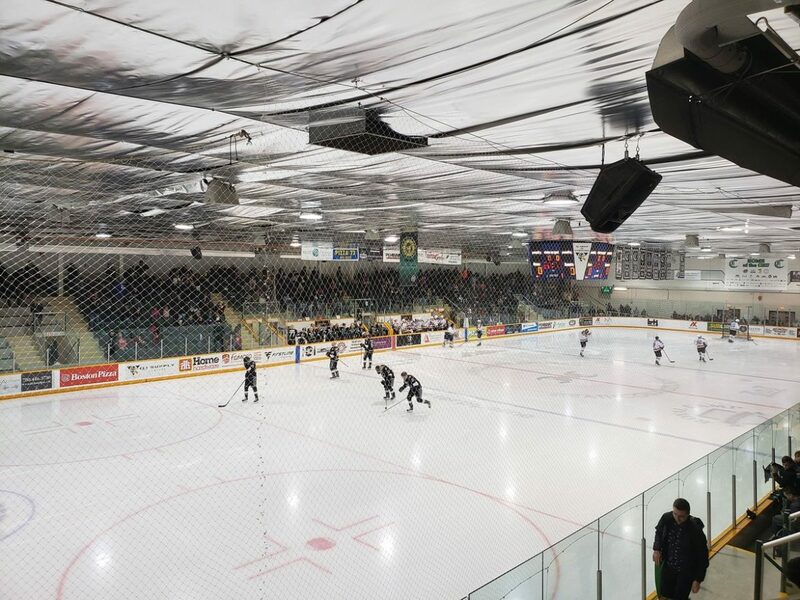 Here’s how it went down inside of a packed Sherwood Park Arena! Some are calling it the “Suburb Series” or the “Battle of Highway 16”. I don’t care what you choose to dub it; I’m just looking forward to looking back on the upcoming matchup between the Sherwood Park Crusaders and Spruce Grove Saints and calling it the “the best damn playoff series I’ve ever covered”. There are plenty of reasons to think this will be a fantastic series. 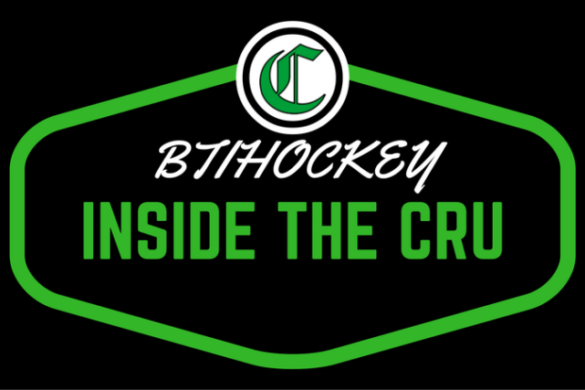 The Crusaders were the top team in the North Division throughout the regular season, and on the surface, that should make them the favourite but, the Saints are the defending AJHL Champions, and they won’t go down easy. These two teams went at it six times this season, and while the Crusaders won four of those six matchups, the Saints actually outscored them by two goals throughout their season series. Their first game this season was back on October 19th when the Cru got a pair of third-period goals from Garrett Clegg which propelled them to a 4-3 comeback victory. They would play the next night, and the Saints would get a 2-0 win with rookie goalie Matt Davis getting a 31 save shutout. Both goalies were named the player of the game for their teams, something that I think we will see a few times in the upcoming playoff series. They met just once in November in a game that saw the Crusaders grab a 3-2 shootout victory. 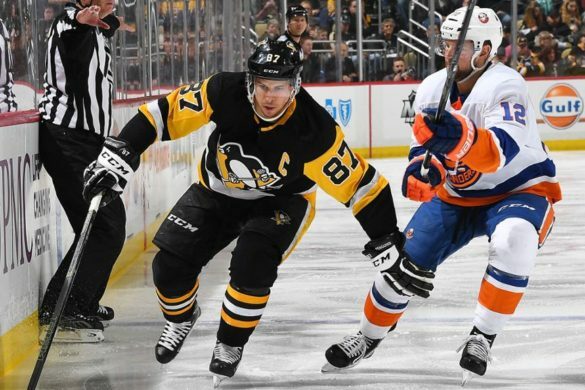 They finished their season series with three games in December and their first game of the month was arguably one of the most entertaining regular season games we saw in 2018. With the Crusaders leading 4-1 heading into the third period, the Saints fired home three straight goals in 2:02 to erase the deficit. The Crusaders fought back and scored two more to regain a lead. The Saints made a great final push but lost the game 6-5. These two teams also combined for 57 penalty minutes (17 of which went to Saints forward Dylan Bourlai who racked up 169 PIM’s during the regular season) which reminded everyone that their rivalry is one of the most spirited in the AJHL. On December 19th, Sherwood Park beat the Saints by a score of 4-1 before losing the season series finale on December 30th by a score of 9-3. That final game left a bit of a damper on a season series that the Crusaders otherwise handled pretty well. It’s also worth noting that since that game, the Crusaders have added a pair of studs in centre Zach Kaiser and defenseman Reid Irwin. Those two have been highly impactful thus far in the postseason. While the season series appeared to have favoured the Crusaders based off their record, if you dig a little deeper you’ll see that these two teams played a handful of fantastic hockey games. 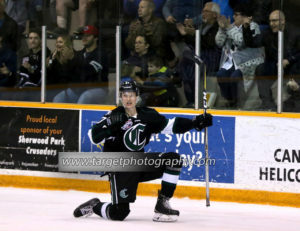 The Crusaders record of 44-14-2 was the best record in the AJHL’s North Division. The Saints finished third in the division with a record of 40-17-3. 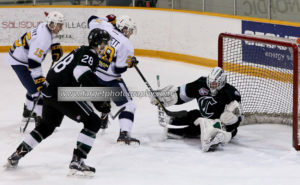 The Cru was the highest scoring team in the North with 254 goals scored while the Saints were fourth with 204 goals for. The Saints bread and butter was their goaltending/defence. They only allowed 141 goals (1st in the North) while the Cru allowed 159 (3rd in the North). Special teams are huge in the playoffs. During the regular season, the Crusader’s powerplay was second in the AJHL at 27% while the Saints were 10th at 17%.In the playoffs, the Saints powerplay is 20%. On the penalty kill, the Cru was 3rd at 85% while the Saints were 6th at 84%. Goaltending will be one of the more fascinating parts of this series. During the regular season, Crusaders 20-year-old Matt Berlin started 38 games. He won 28 of them with a 0.917 save percentage and a 2.57 GAA. His experience in the WHL will also help him as well. Simple as that. In any playoff series, I think having more junior experience is a benefit especially when the series will have plenty of peaks and valleys as I expect this one will. The Saints will be going with rookie sensation Matt Davis, who I think was robbed of the Goalie of The Year Award in the AJHL. In 25 games this season, he posted a 0914 SV% and a 2.03 GAA. Statistically, he was as good as you can get. He’s only 17-years-old, but you can’t discount his natural ability. In their head-to-head matchups, Davis actually has a slight edge. In four starts vs the Crusaders, Davis has allowed nine goals and has posted a 0.922 SV%/ Berlin has been solid, but in six starts he’s allowed 19 goals and has an SV% of 0.892. The Cru won the division, so they received a first-round bye. They just came off a series win over the Fort McMurray, who played them very tough forcing six games. That might be good for the Cru as I was a little worried they wouldn’t be able to jump right back to their high level of play after their bye week. Those doubts were erased, and I do not doubt that the Crusaders are playing some of their best hockey of the year. The same can be said about the Saints. 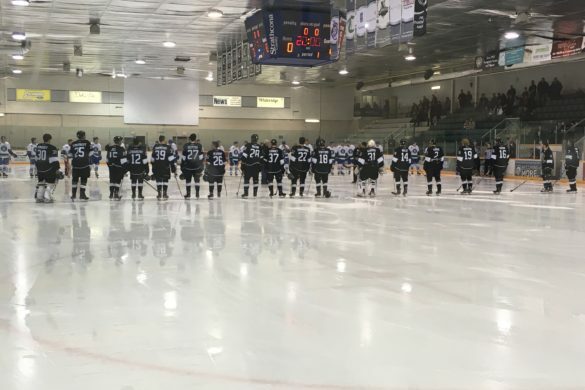 After beating Drayton Valley Thunder in four games, the team swept away the Bonnyville Pontiacs in round two. That gave them some time off, which after seven playoff games over two weeks, isn’t a bad thing. Offensively, the Saints have been led by a pair of 20-years-old forwards. Logan Ganie and Parker Saretsky have combined for 19 points through 16 playoff games. 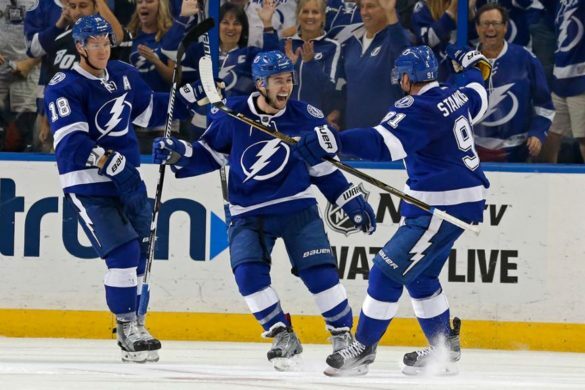 The team has five other players who have produced four points in eight playoff games. The Crusaders have gotten some offence from an unexpected source as defenseman Tyler Jette is currently sitting as their leading scorer with seven points in six games. Zach Kaiser has been doing some heavy lifting as well with three goals in four games. The usual suspects, Carter Savoie, Arjun Atwal, Garrett Clegg, and Mike Benning, will no doubt factor into this upcoming series as well. 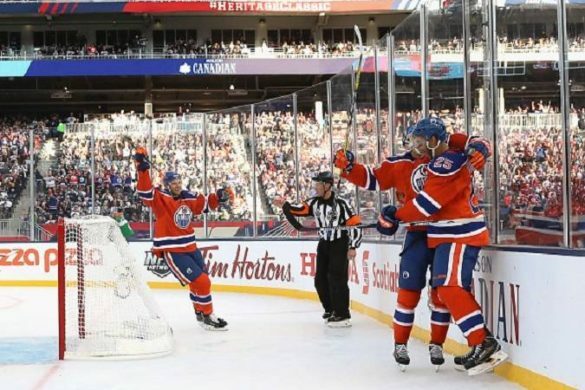 The best defensive team in the North will go up against the divisions most dynamic offence. Combine that with the fact that they have two of the league’s best goaltenders and you have the makings of a great playoff series. The rivalry will be renewed this Friday when the puck drops at the Sherwood Park Arena. The Crusaders took to the ice in front of their home crowd with a chance to finish off the Fort McMurray Oil Barons and advance to the third round of the AJHL Playoffs. When I spoke to Head Coach Adam Manah earlier this week, he described the first four games of this series as an absolute war and I would have to agree with him. These two teams have clearly been trying to get under each other’s skin all series and even Manah admitted that both sides have probably crossed the line a few times. For a full recap of the first four games of the series, you can listen to my interview with the Crusaders Head Coach HERE. 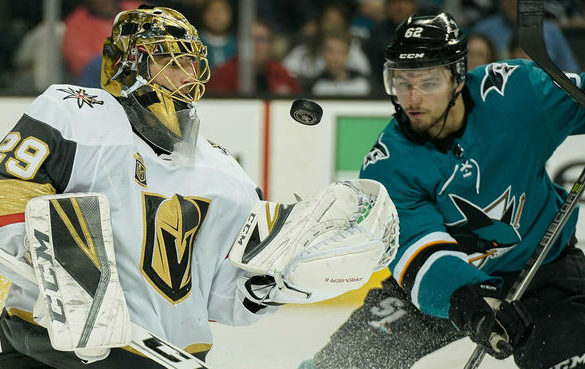 Every playoff game is obviously massive, so it seems redundant to say that both teams were desperate for a win but tonight the pressure was ramped up more than it was in any other game in the series. Fort McMurray is battling to keep their season alive and while a loss for the Crusaders would not have been the end of the world, it would force them to go back up to Fort Mac for a sixth game which is far from ideal. The teams wouldn’t need any extra motivation but for the Cru, I can imagine it felt nice to skate out to what I believe is their largest crowd in years. The first five minutes of the game, in front of a near capacity crowd, would be massive.